An epic logo design and hand painted signage for a local business in St. Petersburg, FL. The Kimono Cart needed a new logo to represent their business. Alicia Gagel, founder of The Kimono Cart and I collaborated to bring her idea to life. Our goal with the design was to make brand look special and natural with a focus on uniqueness and hand drawn, vintage and bohemian characteristics. The Kimono Cart is committed to create naturally made products, therefore a hand crafted identity and style was appropriate. The logo design was hand-drawn, digitized and later painted by hand using One Shot lettering enamel on two wood panels that measure 35" by 25". The panels are going to be used to build the cart that Alicia will be taking to indie and makers markets to showcase and sell her hand-made Kimonos. Below are some pictures of the logo design and sign painting process. 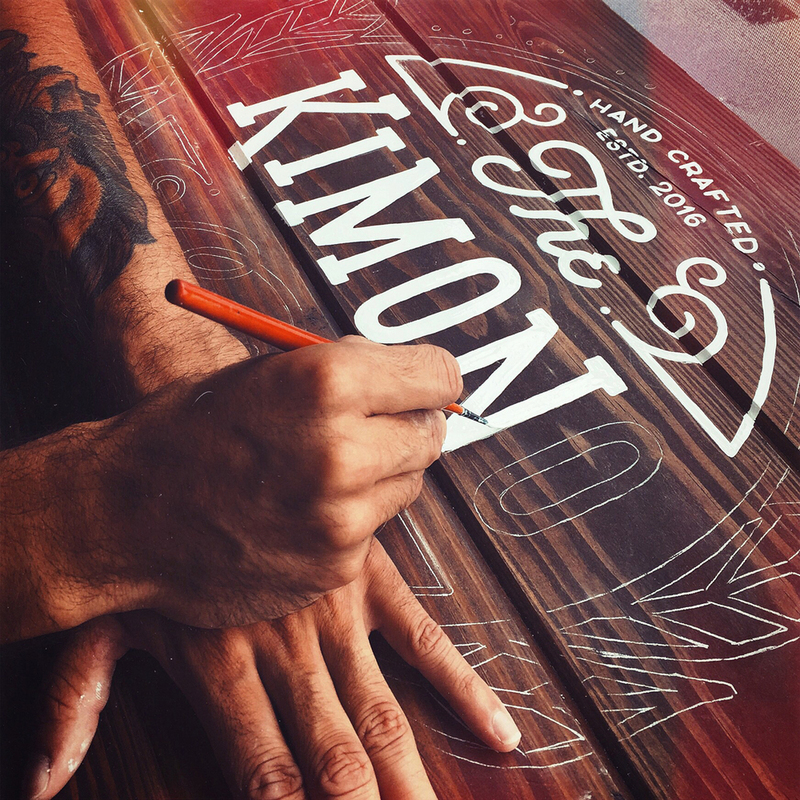 Newer PostNew Work: Hand Lettered Chalk Menu for Love Food Central Cafe. Older PostNew Work: It Is Well With My Soul - Chalk Lettering Mural Installation.